If you suffer from aches and pains, sore muscles or dry skin, there’s a good chance you’ve tried at least one over-the-counter product made to treat these conditions. And if you’re like most people, you’ve probably spent a decent amount of money and experienced some unpleasant side effects trying to find the right fix for your ailment. The good news is you don’t have to go broke or break out in hives in order to get relief. Your local drugstore has a safe and affordable home remedy you can try instead: Epsom salt. Epsom salt is pure magnesium sulfate, which has several health benefits, such as relieving tension and stress, muscle pain, headaches and constipation, Indiana University Health cosmetic dermatologist Dr. Melanie Kingsley tells SheKnows. Named for a saline spring at Epsom in Surrey, England, Epsom salt is not actually salt, but a naturally occurring mineral compound of magnesium and sulfate. 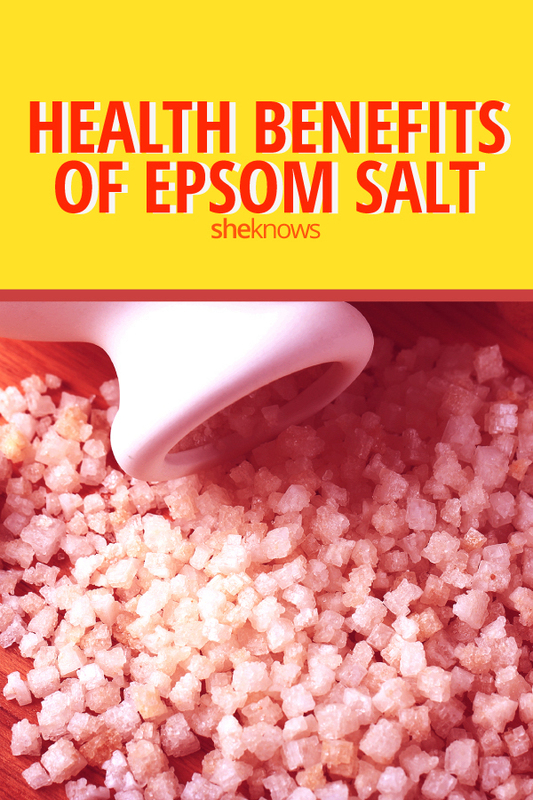 Epsom salt is most commonly added to a warm bath in order to reap the health benefits. What’s so great about bathing in Epsom salt? Epsom salt baths have been used for years as a natural remedy to help ease achy muscles and reduce stress. If you’ve ever taken a bath with these salts, you know exactly how good it feels. But why is the combination of Epsom salt and bath water so good for us? Board-certified dermatologist Dr. Anna Guanche explains that in bath water, Epsom salt separates into magnesium and sulfate, which relaxes achy muscles. “Theoretically, the salt in the bath water may osmotically reduce swelling — although there are no studies to support this,” says Guanche. The other theory, she explains, is that the magnesium is absorbed through the skin, which helps relieve achy muscles. Registered nurse Rebecca Lee, who specializes in natural remedies for various health ailments, also believes that an Epsom salt bath is great for soothing aches and pains. “Magnesium is a natural muscle relaxer, and in the salt form, it pulls excess water and lactic acid buildup away from the injured tissues and reduces swelling,” explains Lee. That’s why people use Epsom salt after a hard workout and for sore and injured muscles. She says these baths are also used a lot to detoxify the skin and reduce inflammation and pain that stem from gout flare-ups. Dr. Carolyn Dean, a health, diet and nutrition expert, says magnesium in the form of Epsom salt can calm nerves, reduce anxiety and help alleviate depression since magnesium facilities the production of serotonin (the feel-good hormone). 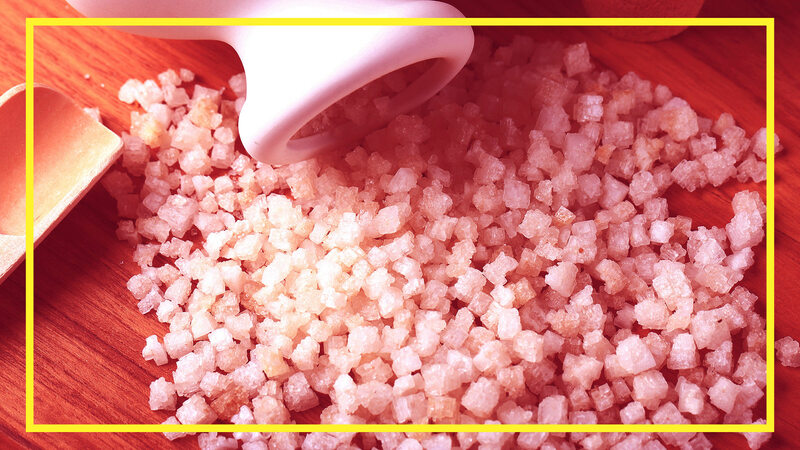 Epsom salt also increases energy, decreases headaches, treats insomnia and helps you have a deeper, quality sleep. Caitlin Hoff, health and safety investigator for ConsumerSafety.org, says that in addition to relief from aches and pains, other benefits of Epsom salt include gentle exfoliation, sunburn relief and itching relief of bug bites. Plus, it’s also recommended for people with arthritis or fibromyalgia. If you’re ready to experience the amazing benefits of this affordable and safe home remedy, check out a few of the tips the experts swear by. Skin care expert and registered nurse Robin Hillary recommends using Epsom salt as an exfoliant for dry winter skin. She says it’s best to use on your legs and arms (especially elbows). While in the shower, take a small handful of salt and rub it into wet skin. She suggests avoiding the face, but does recommend lightly massaging it into your neck and shoulders. The best way to use Epsom salt is to dissolve it in water. Kingsley says the salt absorbs better into the skin this way. Buying Epsom salt is easy and affordable. You can find it in most drugstores, health food stores, online and in grocery stores. It’s typically sold in a large bag, and you can store it at room temperature in a cabinet. Make sure you seal it after each use since it makes a huge mess if it is spilled. When taking an Epsom salt bath, make sure the water is very warm. Add the Epsom salt while the water is running. This helps it dissolve. Most bags come with directions, but usually, 1 to 2 cups per standard-size bathtub is recommended for treating the body.